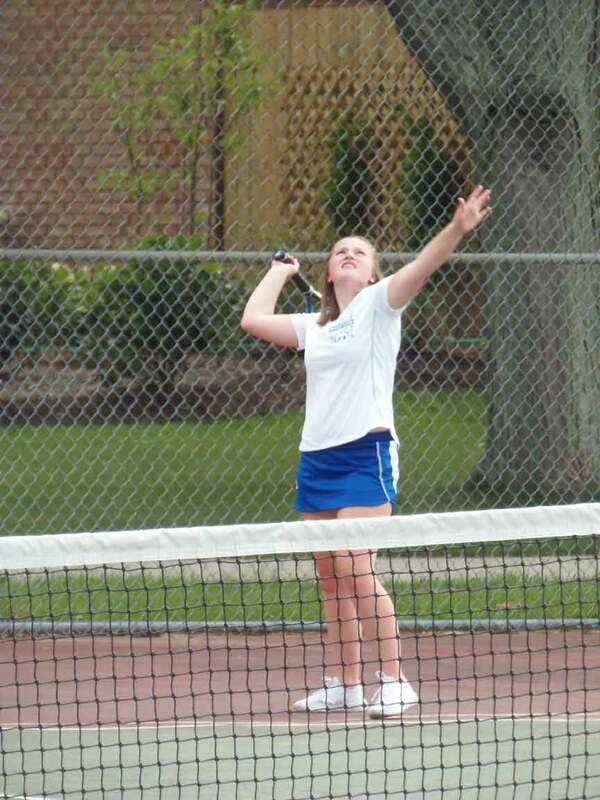 MADISON – The Geneva Eagles girls’ tennis team defeated the Madison Blue Streaks 5-0 to improve to 5-2 on the year. With the loss the Blue Streaks dropped to 2-5 on the season. In first singles Kate Keenan, of Geneva, defeated Elizabeth Bottar, of Madison, 6-2, 6-3. In second singles Gabbi Selman, of Geneva, defeated Brianna Cannandy, of Madison, 6-2, 6-1. Abby Anderson, of Geneva, won her third singles match against Payton Lewanski, of Madison, 6-1, 6-2. Kenna Sanborn and Adrian Quinn, of Geneva, defeated Olivia Durst and Gabby Jayne, of Madison, in a first doubles match 6-1, 6-3. In second doubles Cynthia Seames and Natalie Frank, of Geneva, defeated Alexis Nicoson and Izzy Gnagy, of Madison, 6-1, 6-3. Pictured: Brianna Cannady, of Madison, plays in a recent second singles tennis match.